In our commitment to make you look your best from head to toe, we gathered and reviewed 5 of the hottest eye creams specifically made for people with sensitive skin. These creams were then ranked and thoroughly reviewed based on their ingredients, rate of absorption, gentleness on the skin, and their price so that we can pick the best eye cream for sensitive skin. 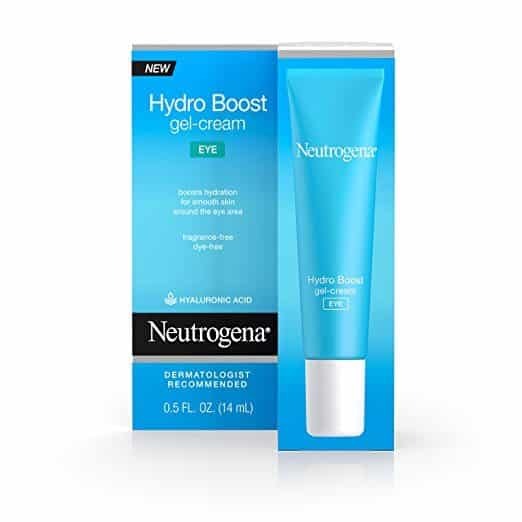 Try the Hydro Boost Gel-Cream Eye by Neutrogena for a product infused with hyaluronic acid. It replenishes water and strengthens the moisture barrier to leave you with supple, smooth skin. 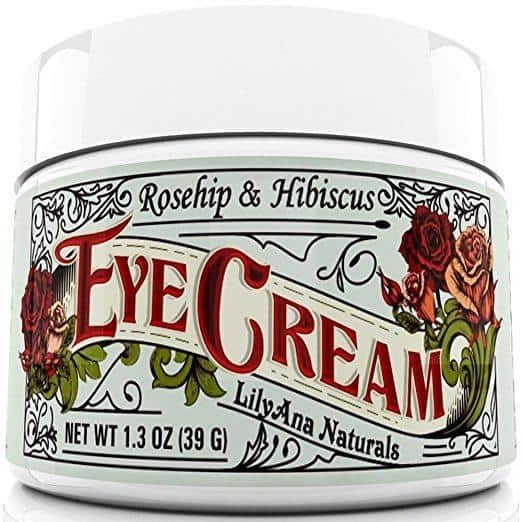 LilyAna Naturals’ Rosehip & Hibiscus Eye Cream is made from 77% organic ingredients. It slows down the signs of aging, increases the skin’s elasticity, and helps with hyperpigmentation. The Queen Bee Peeper Keeper Eye Balm by bee naturals is a multi-tasker. It penetrates deep to relax and hydrate tired eyes, reduce the appearance of fine lines, and lighten dark circles. Opt for Simple’s Soothing Eye Balm if you are a wearer of contact lens. Non-comedogenic, it is infused with Bisabolol, Shea butter, and Jojoba oil that are known to nourish the skin. Burt’s Bees Sensitive Eye Cream is a dermatologist and ophthalmologist-tested brand. It has cotton extract that helps soften and replenish the skin’s outer layer to protect it from irritants. Save yourself some time and read on what our editors have to say about the best eye creams for sensitive skin. What makes this the best eye cream for sensitive skin is its hyaluronic acid content. This ingredient is a must in eye creams since it helps boost hydration to leave skin healthier-looking. It also has the ability to hold up to 1000 times its weight in water, making it beneficial for dry skin cells. Lightweight, this water gel-cream product combines the power of a gel and a cream in one. It is quickly absorbed by the skin like a gel, yet provides long-lasting moisturization like a cream. Free from dyes, fragrances, and oils, this eye cream is non-comedogenic and is ophthalmologist tested. It doesn’t leave you with a sticky or greasy feel, and can also be worn under makeup. It also features Olive extract as a key ingredient. Rich in nutrients and fatty acids, olive extract is highly moisturizing and is known to have features similar to the moisture shield of the skin. A little of this product indeed goes a long way. It also stays in place the moment it dries, unlike other eye creams that tend to make their way to the eye. Made from 77% organic ingredients, this cream boasts of its Rosehip Oil and Hibiscus extract contents. It moisturizes the skin under the eyes to reduce the appearance of lines and wrinkles. Known as nature’s miracle oil, rosehip oil helps in skin regeneration and reduces discoloration. Nature’s Botox, Hibiscus extract improves the skin’s elasticity to increase its overall suppleness. Chemical-free, this product is full of essential oils and can be worn under makeup. This cream has a creamy texture, and since it comes in a huge container, a little really goes a long way. This eye cream is however not exclusive to the eye area. The company states that it can be used on the décolletage area, neck, and face as well, for healthier-looking skin all over. What’s great about this company is that it’s a family-owned business, not a commercial one. Their eye cream is also made in small batches to ensure the quality that goes into each bottle. Also, what’s awesome is they offer a full refund within 30 days. Just as long as you’re not satisfied, you’ll get your money back without any questions. Great for all skin types, this eye balm can also work as an eye primer to make eye makeup stay put. It penetrates deep down to fight premature aging for a more refined skin texture. The brand’s best-seller, it relaxes and hydrates tired eyes and makes it more “alive.” It’s great at keeping wrinkles and dry skin at bay, so you’ll definitely feel like royalty when using this product. What makes this product different is it comes in balm form. Compared to creams, eye balms do not list water as its ingredient—this makes them more concentrated and thus, more effective. This balm has Avocado and Carrot Seed Oil as its ingredients, which are powerful anti-aging agents. It also contains Rice Bran Oil and Beeswax, which protects and locks-in skin moisture. A true multi-tasker, this product can also be used on chapped noses, cuticles, and even the lips. It is also very travel-friendly, and this small container can easily fit inside your purse or vanity kit. Dermatologically-tested, this product claims to have no ingredients that could harm the skin. It is a non-comedogenic and hypoallergenic formula, and can also be used by contact lens wearers. This eye cream contains three ingredients known to benefit the skin. It is infused with Bisabolol, Shea butter, and Jojoba oil, which hydrate and soothe skin to leave you relaxed and calm. It also contains two essential vitamins: Vitamin E and pro-Vitamin B5. Vitamin E helps skin maintain its natural moisture, while pro-Vitamin B5 leaves skin soft and smooth. Easily absorbed by the skin, this product can be worn under makeup as well. With continued use, it makes skin plumper and smoother, and can help reduce creasing under the eyes. Its consistency is almost gel-like and is rather thin. However, it does not take away the product’s hydrating ability and somewhat offers immediate results after the first use. But then again, we’d like to stress out that this eye cream is “way too simple.” It doesn’t have anti-aging properties, so if that’s what you’re after, you may want to skip on this one. Ophthalmologist and dermatologist-tested, this cream is a 99% natural product. It reduces the appearance of puffiness under the eyes to leave tired skin refreshed and with a natural glow. Free from fragrances, this product allergy-tested and is clinically proven hypoallergenic. This lightweight formula gently moisturizes the under-eye area without causing irritation or redness. This eye cream features Cotton extract as its main ingredient. It helps soften and replenish the outer layer of the skin to minimize the harsh effects brought by regular cleansers and soaps. Packed with antioxidants, this product also contains Olive Fruit Oil and White Genepi extract. The former helps smoothen skin, while the latter is known for its anti-inflammatory qualities. This eye cream also contains the tannin-enriched Eyebright, which gives it its astringent properties. Its Rice Extract content helps moisturize the skin, while Aloe calms irritated skin. Overall, this cream uses a blend of ingredients from Mother Earth. Part of the “sensitive skin” line, it can be used day and night to give skin the nutrients and moisture it always longed for. Some people think that buying eye creams are totally unnecessary. Our friendly serum or moisturizer also does the trick, right? Go for eye creams that provide hydration. Dryness under the eye area is common for people with sensitive skin, and using one reduces dry skin, eye irritation, and eye discoloration. Creams containing plant oils, alcohol, and fragrance should be avoided. These are known irritants, and can irritate the sensitive areas around the eye. Choose an eye cream that that tackles your main concern. Creams that contain hyaluronic acid are the best since it helps restore the skin’s plumpness and moisture. For a cream with anti-aging benefits, combine hyaluronic acid with a cream that contains vitamins, antioxidants, and peptides. Those with SPF are also recommended, but choose those that have physical or mineral blockers to avoid harsh ingredients that can irritate skin. To address puffiness, according to aesthetician Emily Byrne, choose lightweight eye creams containing active ingredients like bisalobol. Doing so will only leave white marks on your face, and you’ll only end up wasting your money. Use patting motions and avoid rubbing. Rubbing the cream in can cause the skin to stretch, which can lead to sagging. Stop using pressure. The amount of pressure you use won’t increase the effectiveness of the product, so stick with light strokes and let the cream do its job. Eye creams are designed to address specific concerns that serums or moisturizers often miss. But not all eye creams are created equal and for sensitive skin, extra caution must be observed. We chose the Hydro Boost Gel-Cream Eye by Neutrogena as the best bo. It is dye, fragrance, and oil-free, and has hyaluronic acid to hydrate the skin and leave it supple. Lightweight, this gel is quickly absorbed by the skin to deliver deep hydration for visibly glowing skin. There are however two downsides to this product: its price and its olive content. But these don’t seem to be an issue, since people are still eager to have their hands on this product.